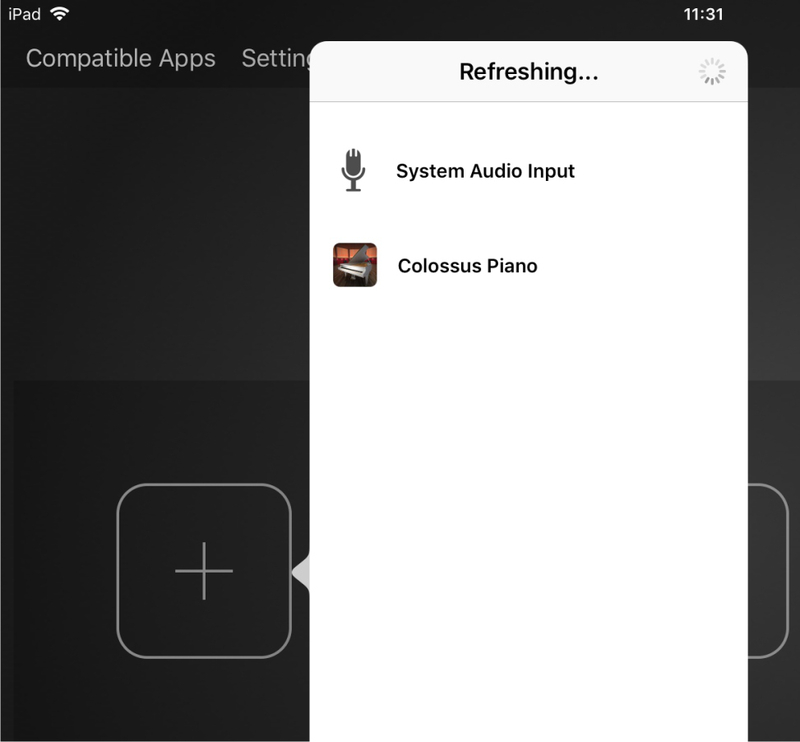 The Colossus Piano App supports the Audiobus system to stream audio between other iOS audio apps. Audiobus is a commercial third-party app which allows to create various audio routing setups between apps that support the Audiobus technology. In order to use Audiobus support, you first need to purchase and download the Audiobus app from the App Store. Audiobus requires at least iOS 7 or higher. This feature is not available for devices running an older version of iOS. 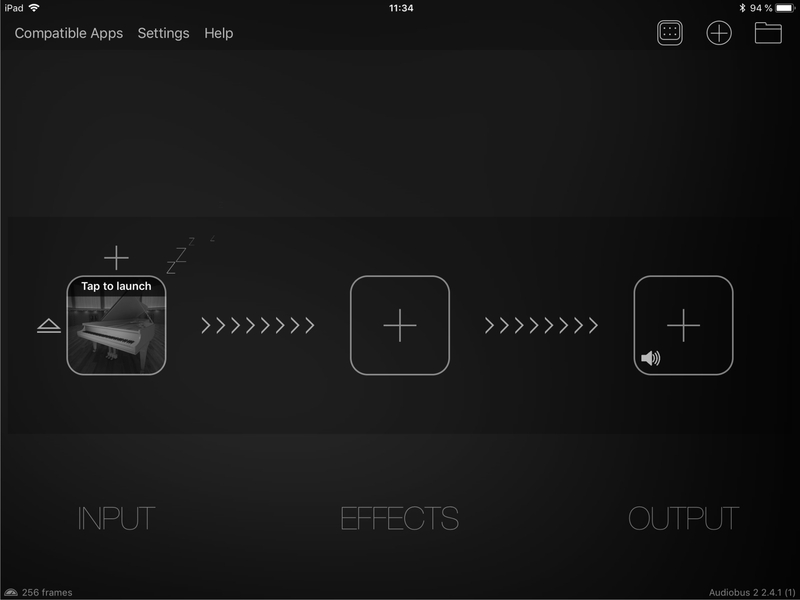 The following is just a short introduction how to launch Colossus Piano with the Audiobus app. For more detailed information about the Audiobus app, its features and how to use them, please refer to the Audiobus manual or contact its manufacturer. Purchase and download the Audiobus app from the App Store. Tap on the "+" button on the left to add a new "Input". A vertical list appears with all Audiobus compatible apps installed on your iPad / iPhone which provide audio output ports for being used as Audiobus source. Select "Colossus Piano" from the list as new input for your Audiobus routing chain. Tap on the gray, large "Colossus Piano" icon on the left to launch the "Colossus Piano" app in Audiobus mode. 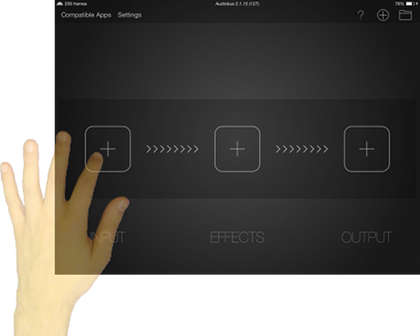 Use the respective app icon, as shown on the picture below, to quickly switch between the Colossus Piano app and the Audiobus app. Setup your piano sound with Colossus Piano. Add other apps to the routing chain of your Audiobus setup if required. 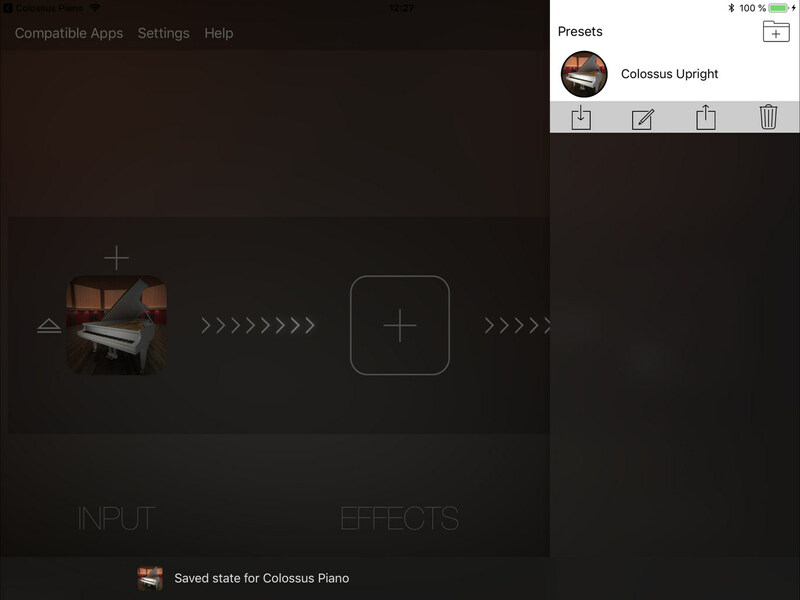 Colossus Piano supports Audiobus's state saving feature. That means you can conveniently save and restore your entire Audiobus setup, along with all your settings in the Colossus Piano app, as preset in the Audiobus app. This is the end of the Colossus Piano user manual. In case you still have open questions not being answered by this user manual, then please contact us. Copyright © 2018 Crudebyte. All rights reserved.